We all love the BIG GAME, but don’t underestimate the entertainment for heating up the field! First, there’s the singing of the National Anthem. Music legend, Atlanta native and seven-time Grammy winner Gladys Knight will do the honors this year. Gladys Knight may be the first to musically score but three time Grammy winners Maroon 5 are set to be the halftime MVP with Travis Scott as guest! If you don’t have a horse in the race the game is an opening act to the headlining halftime show. A no holds barred extravaganza, not to mention a virtual album seller as well as pressure cooker for the artists invited to the party. Performing for one of the world’s biggest audiences for twelve minutes, all the while trying to make a memorable and definitive statement…no worries right? With the killer halftime show, commercials you actually might want to watch, fun food and oh yeah…the championship football game of the year too, you gotta love Super Bowl Sunday! I’ll give you another reason to love Super Bowl weekend. I’ve got possession of the perfect soundtrack to kick things off! It’s gonna be a party blitz with exclusive HK remixes on Halsey, Sam Smith & Normani, Zara Larsson, Bazzi, DJ Snake with Selena Gomez & Cardi B, Rita Ora, Khalid, Benny Blanco & Calvin Harris, The Chainsmokers, Travis Scott featuring Drake and so much more! I’ll be punting new beats from NF, Ella Mai and Livvia. 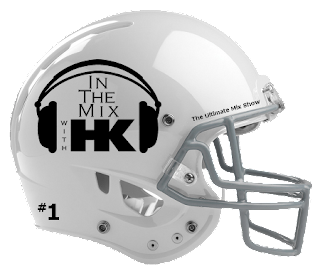 You never know how the big game will turn out but I know we’re gonna be turnin’ it out this weekend on In The Mix with HK™! SO WHO IS BENNY BLANCO?